Creating an explanation that only supports a claim because it supports the claim. Replacing a logical foundation with synonyms or alternative wording that do not offer actual substance. Circular reasoning can sometimes be difficult to spot if it’s transitioned between other talking points. 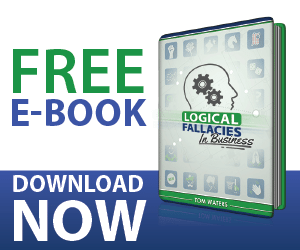 To identify circular reasoning, try to dig deeper and test the validity of supporting claims. When you find that a supporting claim is just another version of the claim itself, you’ve successfully spotted a circular reasoning fallacy. Superior products would be expected to come from a company considered to be the best. But there is no foundation for the company being the best and no validity to the product superiority. Being effective is a result of a good way to do something, not a foundation for being the best.